Weighing an impressive 147 grams, this watch features a stunning dial which perfectly matches its white gold case. 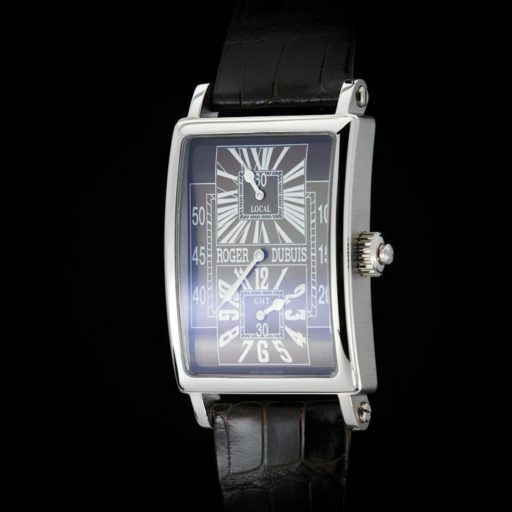 This timepiece is breathtakingly beautiful with stunning details and symmetric beauty of the complicated dial layout. 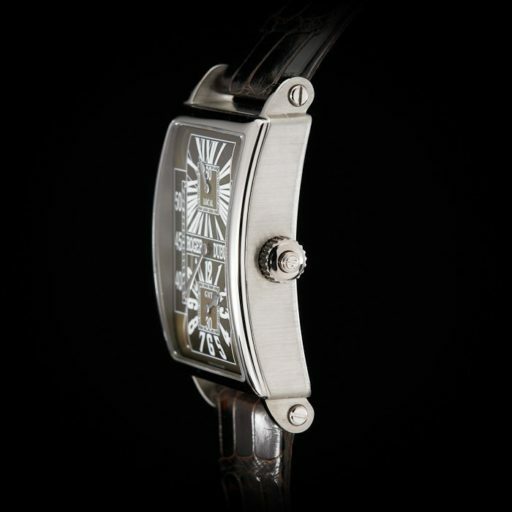 The movement is beautifully crafted and finished and adorned with the the “Geneva Seal,” given to a few of the best-finished high-end movements made in Switzerland. Much More is made extra large – very manly, contemporary, and masculine for a casual dress watch, not to be confused with the smaller and less expensive M32 or M28 version. 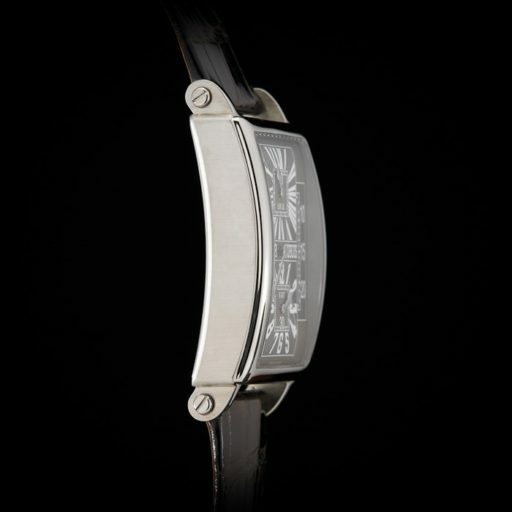 This watch is in 100% brand new condition, complete with box and papers. 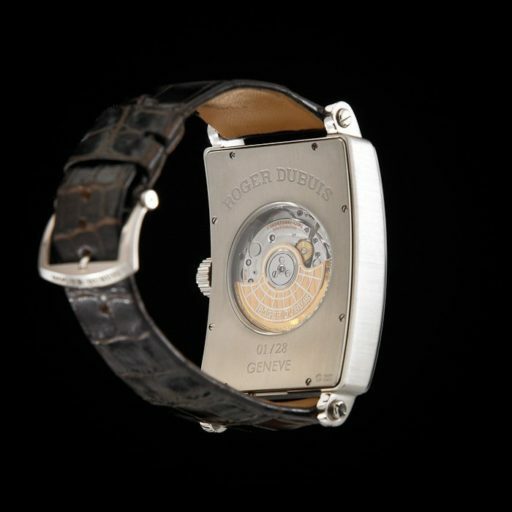 Take hold of this opportunity to own a beautifully crafted, limited edition Roger Dubuis! Features Dual Time Zone (GMT) and Regulator Functions. Complete set of original collector’s box, papers, and certificate from the shipyard indicating the origin of the materials.